After many failed attempts at capturing the feel of Aliens with the infamous Aliens Colonial Marines being the most recent failure, Creative Assembly has decided to go a different route with Alien: Isolation. The core of the Alien franchise is terror and that’s what this game is about. 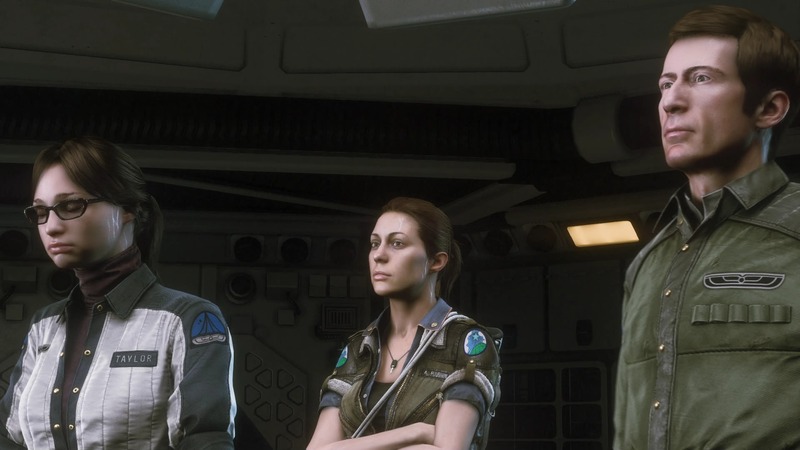 We explore the trials and tribulations of Amanda Ripley, the daughter of Ellen Ripley. I thought this was a good idea, as this was an idea that had never been explored. Why wouldn’t her daughter wonder what happened to her mom? When she hears word of Nostromo’s flight recorder turning up on Sevastopol station Amanda requests a transfer over. And so it begins. Have you ever played Metal Gear Solid, Tenchu, Thief, Deus-Ex, or Splinter Cell? Forget everything they taught you. This game is stealth on a level that you’ve never played before. This is a game about survival. Amanda is not a trained super agent or world-class assassin. She is an engineer thrown into an awful situation and that’s how you need to think. Use the environment to your advantage; use the lights or speaker system to distract the enemy. Find blueprints and build med kits, flash grenades, Molotov cocktails and other tools to survive. The Sevastol is a decaying floating city and the dangers are numerous. I’m going to be straightforward; this game is difficult. 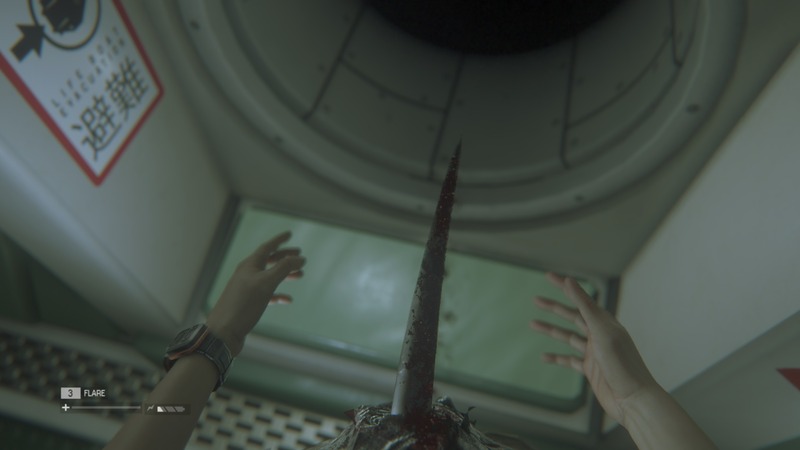 Alien Isolation is easily one of the toughest games I’ve ever played. There is no “save anywhere” because save points are back. I haven’t been so happy to reach a save point since I played the first Resident Evil. The sheer relief of hearing the “beep beep beep” of a save point is equivalent to a classic symphony. The alien itself is a terror (more on that later), and you will die. And die. And die again. But you will come back more. For the most part, the game is fair. It’s a challenge, but a fair one. Every situation, no matter how dire can be conquered in a reasonable manner. As Ash says, “I can’t lie about your chances, but…you have my sympathies”. Folks, the alien has no predictable behavior. There are no patterns to memorize and therefore it behaves like it’s supposed to behave. Creative Assembly did a masterful job in transferring the infamous xenomorph to digital form. After your first encounter with it, it is terrifying to move anywhere. At one point in the game, I decided to give the alien AI a test spin. I had not encountered my evil shadow for quite some time, so I scoffed at the claims at how smart the AI was. Instead of sneaking around everywhere, I decide to run to my next goal. I barely made it through a few rooms before the alien heard the sound of me running and turned me into a snack. 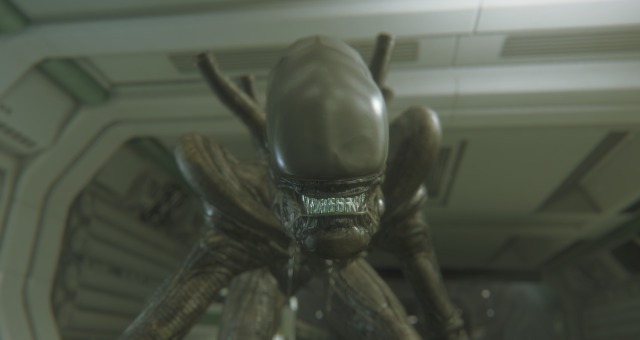 Creative Assembly wanted to take the world of Alien and place the gamer in it. Mission accomplished. Every part of Sevastopol Station is rife with detail. It feels like a city left to die, with the alien’s trail of destruction found everywhere. The sound is flawless as well; many familiar noises and music samples are littered across the game. Hearing the alien scamper around as you’re trying to go about your business is one of most stressful things I’ve experienced in a video game. There isn’t a plethora of stuff to do after finishing the campaign, but enough to keep you busy. The “Crew Expendable” DLC does stand out however. What makes this special is the original cast (sans Ash) reprises their roles for the first time since the movie. You get a chance to change things, as you ascend into the Nostromo escaping the alien. A Survivor mode is available as well, which is quite the challenge. One chance, no map, it’s just you against the alien. You also get to see other views of what went down on the Sevastopol, keeping everything connected. 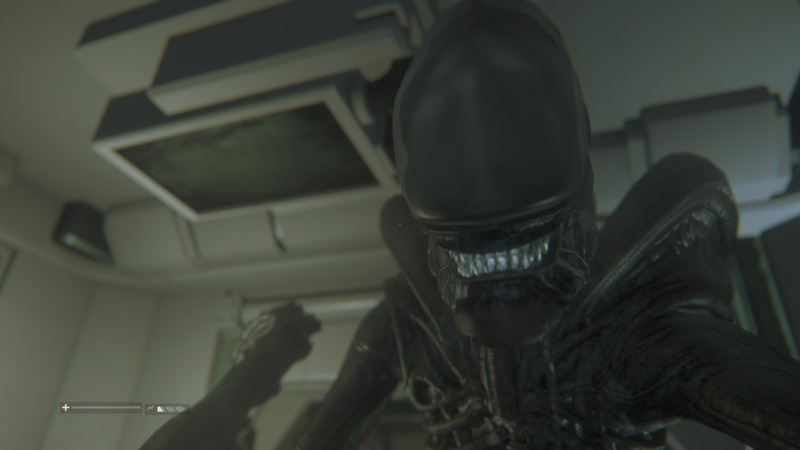 Alien: Isolation isn’t for everyone. You’re going to die a lot, you can’t save at anytime, and it is tough. But it is unlike anything you’ve ever played, a unique gaming experience is few and far between these days. This game captures the terror of being in an Alien movie perfectly. I can guarantee you’ve never played anything like this. A job well done by Creative Assembly, and I hope they get another shot at the franchise. Great review!! The save point alert as a symphony had me rolling!! This review made me moist.